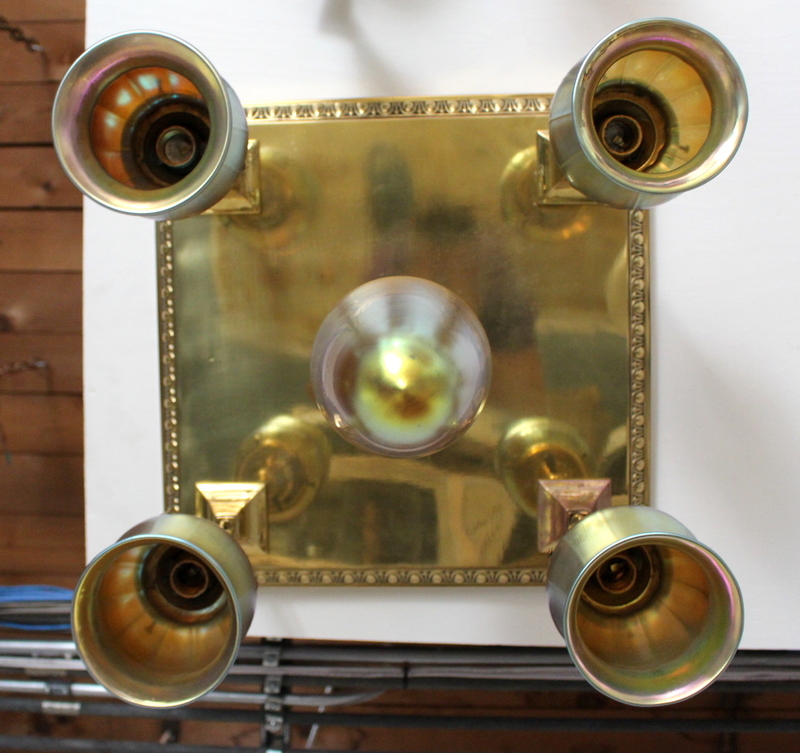 This sturdy Polished flushmount fixture has great presence. 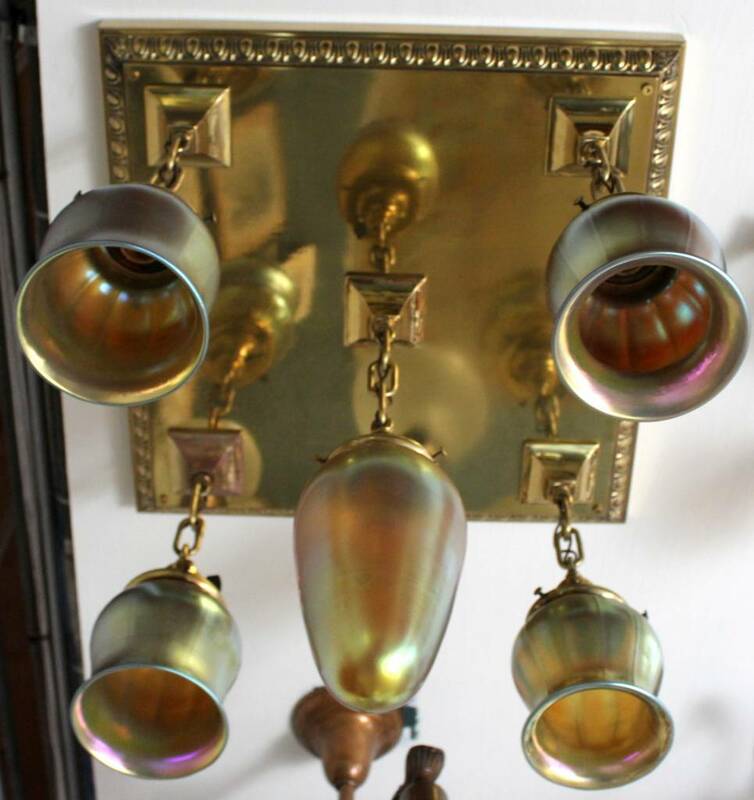 Decorated with scallop design edging and 5 lovely Art Glass shades. 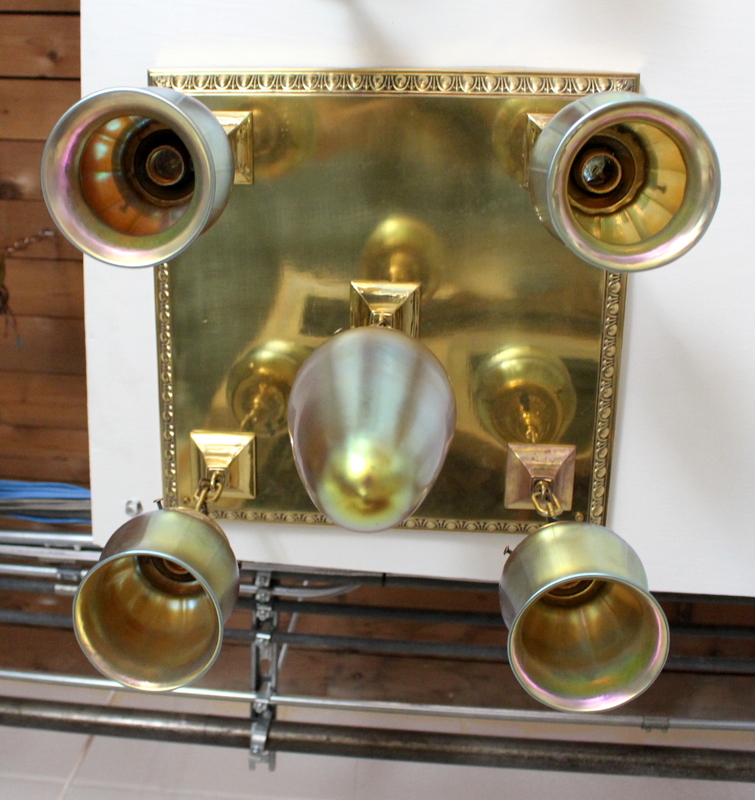 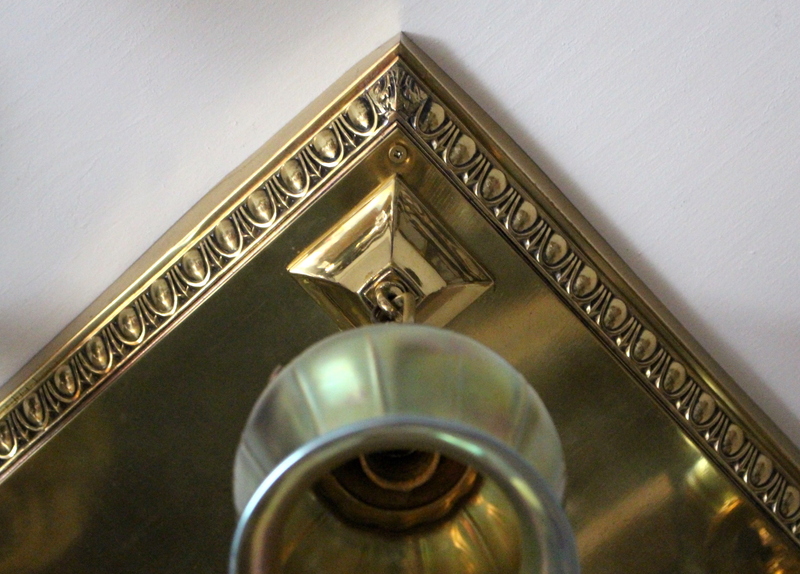 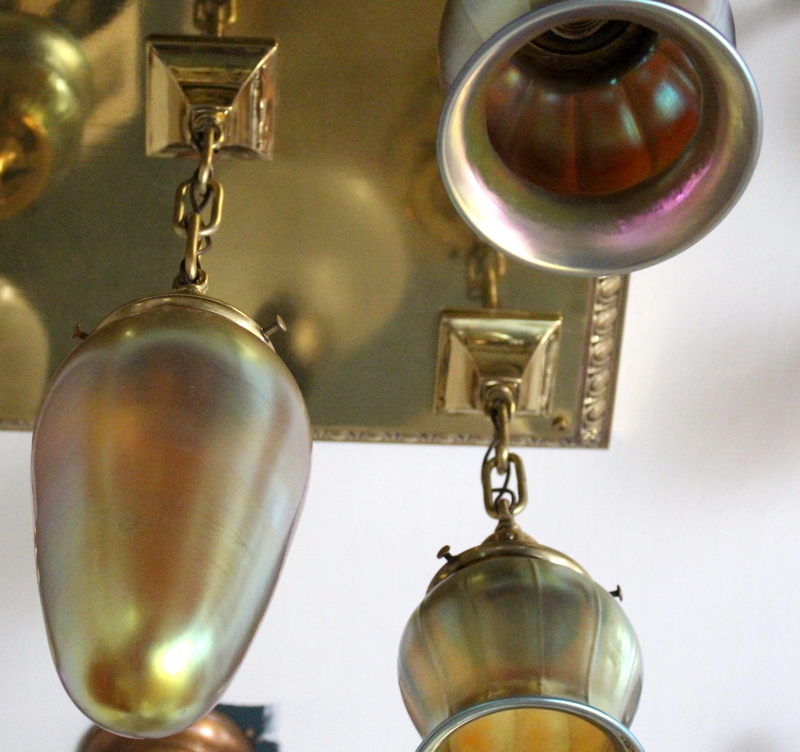 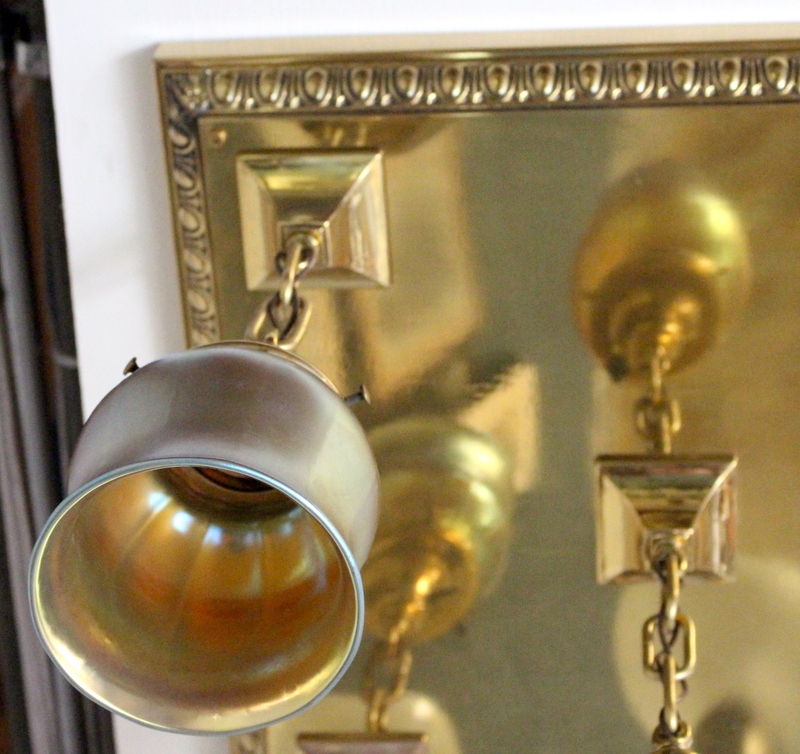 See more: Antique Ceiling Lights, Antique Lighting, Flushmount Lighting.